Want to win's a ThunderHead Creations THC Tauren RDTA for free? 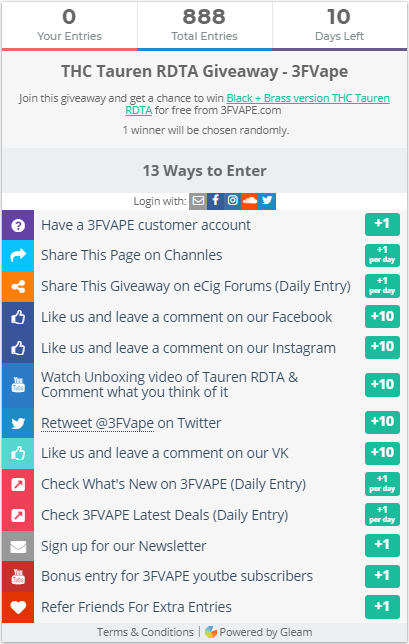 Enter the THC Tauren RDTA Giveaway now >>> 1 winners will be chosen randomly. We also offer you a huge discount for this item, Original Price $56.80,Now Only $26.99. If you can not wait for have this item, you can also order the THC Tauren RDTA directly on 3FVAPE. After 10 days of giveaway activities,the ThunderHead Creations Tauren RDTA Giveaway is finally comes to an end. 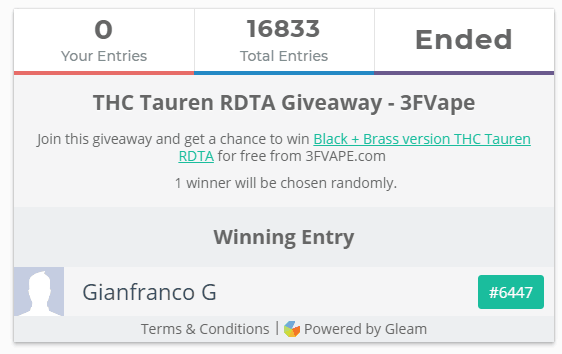 It's a great honor to be here to publish the final result of the THC Tauren RDTA giveaway.